On my blog Family Stories, Photographs and Memories, I feature a collection of blogs "Sharing Memories". I write these stories, in recognition of the importance of sharing our own stories for later generations and present younger family members. Today, I write with a little sadness and dedicate this "Sharing Memory" post to my twin sisters Nancy and Larraine. Two weeks ago, Larraine or Laine as we like to call her passed away after a long illness, to join her sister Nancy, previously deceased. Nancy and Larraine were very special people who lived their lives in their own way, pushing some boundaries, and bringing joy to many. When thinking of them, the wise words of Dr Seuss come mind "Be who you are and say what you feel because those who mind don't matter and those who matter don't mind". 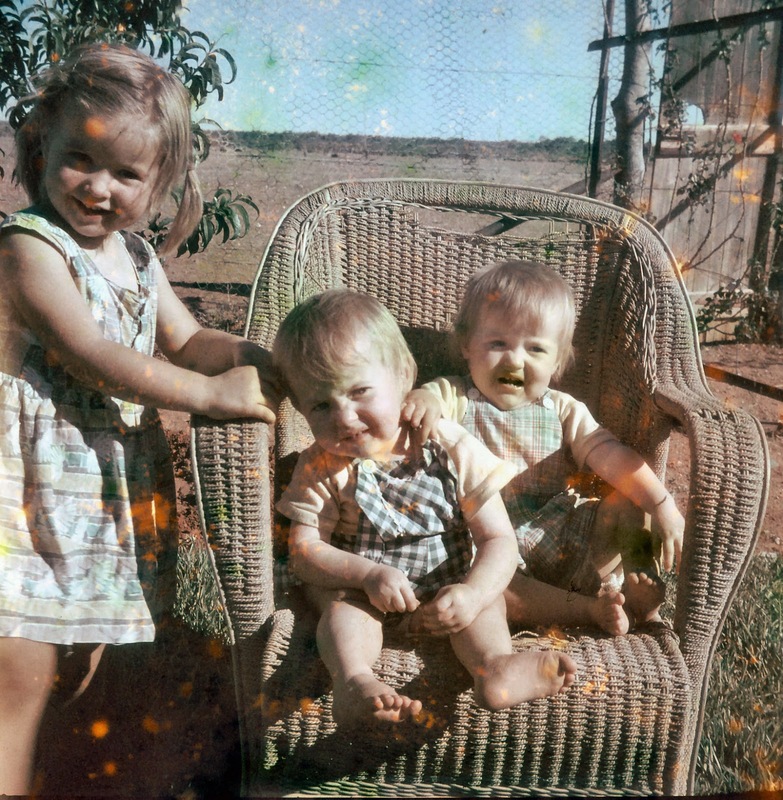 To celebrate there memory I would like to share some family photos from when we were children. 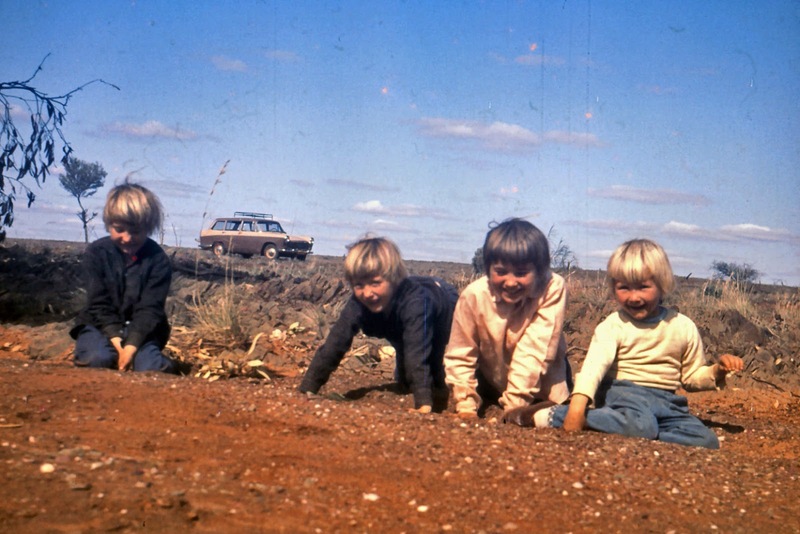 This photo and the two below were taken when we lived on Nuntherungie Station, between White Cliffs and Broken Hill. 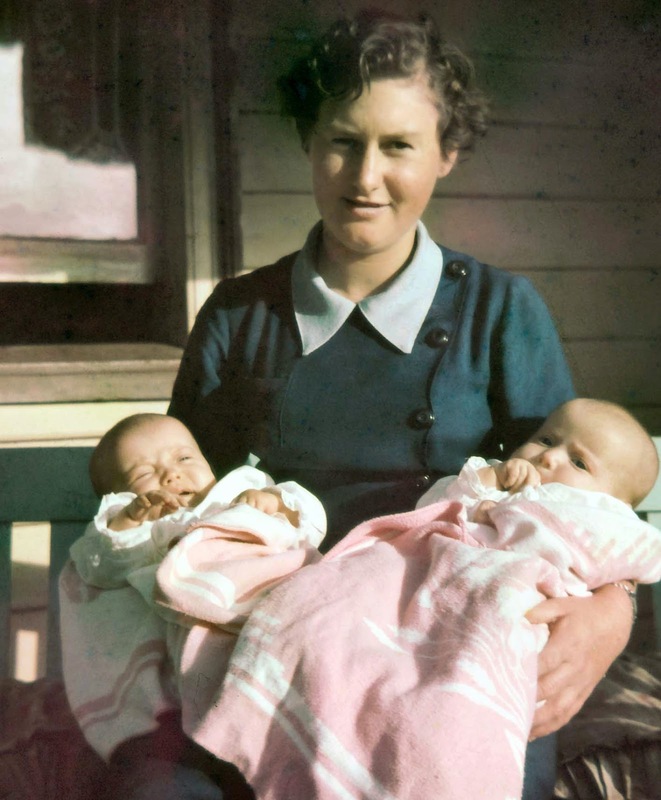 This was a very different and interesting start to life for a family of four girls. 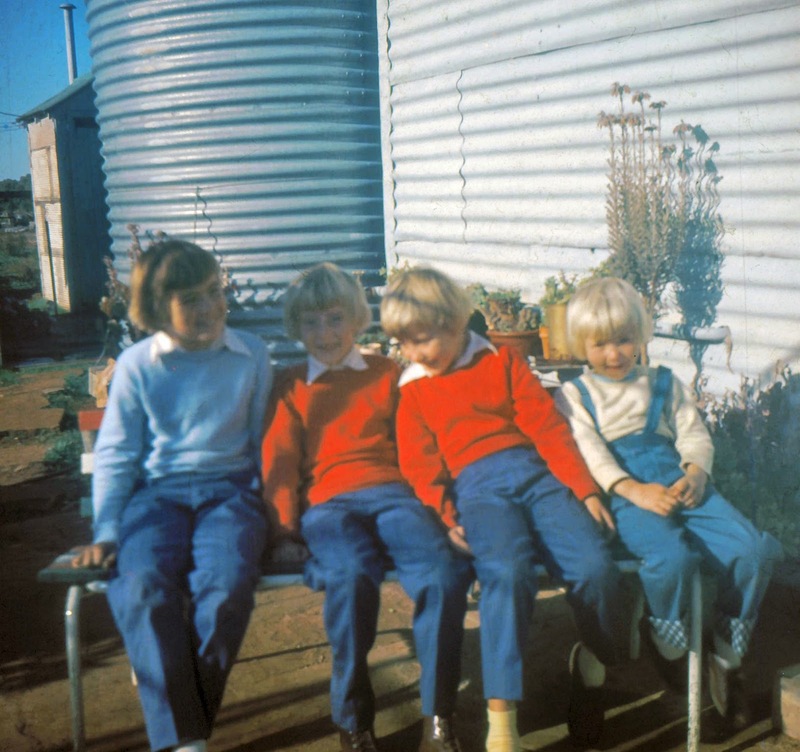 We did our schooling through "School of the Air" and Blackfriars Correspondence School, and spend out free time wandering the arid bush land and celebrating rainfalls and going on trips with our father in his jeep when he was looking after the stock and fences on the property. I'm glad we had the times together just to laugh and sing a song, seems like we just go started and then before you know it, the times we had together were gone. Dr Seuss. So sorry to hear of your loss, Diane.Condolences to you and tbe family.